Time to move on from the 5 spot? This topic has 21 replies, 18 voices, and was last updated 5 years ago by JCL. I keep thinking its time to move on but unsure, am thinking a fsr stumpjumber 29er. Will i regret it, have sold a bike and regreted it? I’ve got its big brother, the 6-pack. Sometimes I get the urge for a new bike just because. Thing is, I can’t find a modern bike to better it. In your shoes, I’d stick with what you’ve Got. Hmm, its now the 26er in a 29er sandwhich between the ss and ridgid geared bikes, will never be able to afford a new turner frame (or any other £1500 frame) plus big sizes rarely come up for sale. We’ll see after the pootle. I had a 5Spot for years, great bike. Went to 29er hardtails and it just sat in the garage gathering dust. Rode it again, didn’t like it, sold it to a mate who still has it and uses it properly. I’m not one for change for changes sake though…!! Weighs more than a small family car. Exactly the same position as MartynS, haven’t seen anything I’d want to swap it for. 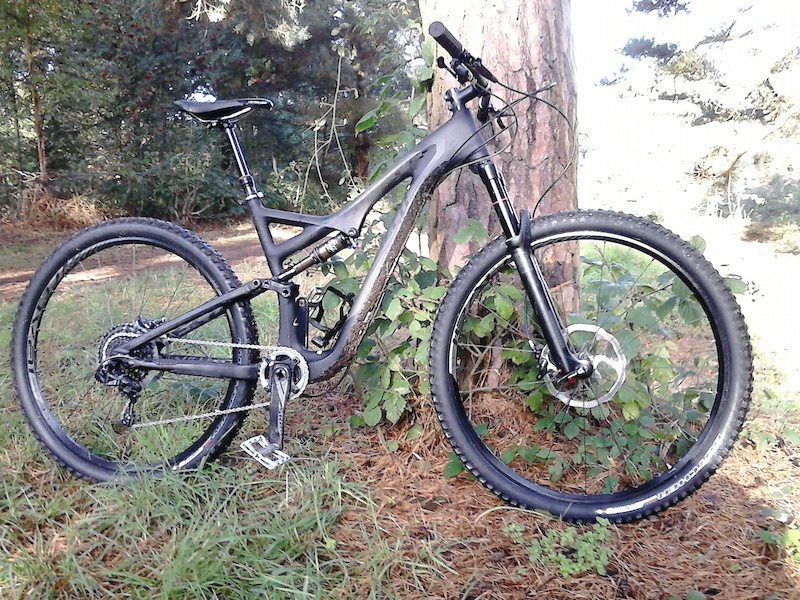 Have a 29er HT as well, the 5Spot’s still quicker and a better ride around my local loop. Turner have dropped the 5 Spot. It’s no more. I kept the spot frame though, they’re still superb frames and even now there’s not really anything much better with 26inch wheels and similar travel IMO. I built it back up not long ago with nos Z1’s and parts bin/classifieds bits and every now and then it makes a nice change and still brings a smile to my face.. So go and try a 29er by all means, but keep the spot frame as well. i had a HL 5Spot, then a DW 5 spot and now ride a fsr stumpjumber evo 29er. My old 03 frame will one day have a place of pride in my garage (note to self:must get garage). I ain’t getting rid of that marvelous bike. But I moved on to a DW link and it’s so much better to ride. @esher shore What size is that Stumpy? 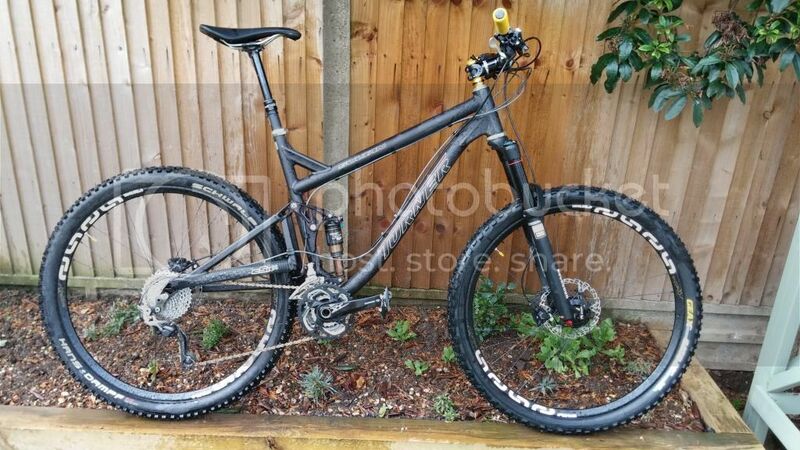 Really tempted by the Stumpy FSR Expert Carbon Evo 29er. Currently have a Yeti ASR5C and a Cotic Solaris. Love the fast, light, stiff, aggressive nature of the Yeti. Love the big wheel feel and benefits of the Solaris and believe the Stumpy would be the best of both bikes consolidated. Mate has a ’11 5 Spot. He had the HL 5 Sport before it. Think he’s tempted by the Burner. The new Burner has pushed it out of the line up, as it’s effectively the 650b replacement. Will be a while before I can upgrade my Spot to this. The Sultan is an XL with E13 TRS+ wheels, 140mm Pikes, Reverb and XT everything else. Weighs about 31.5, fits better then any of the others, long chainstays are probably in proportion on an XL, can’t say I’ve had any issue with them. Loved them all (mainly loved the RFX on the one week it spent in the Alps, too much for my riding in the SE) but the Sultan is defo my favourite. Bet the carbon FSR is a great bike too (in fact my brother has one but I haven’t ridden it yet) and a couple of lbs lighter but the Turner customer service is a huge plus for me too. I really don’t like to slate bikes, but it has to be said; those 29er stumpys are gobsmackingly hideous. Not that it matters I suppose. My brother’s one in black and white looks a lot better than that “murdered out” one. Still not as nice as my Sultan complete with misaligned tyre logos, 3×10, untrimmed hoses, yellow grips that no one but me likes etc etc…. Pfffft. I’ve got a 2011 DW Spot and Sultan, built to a very similar spec, and they both weight almost identical. Low weight != Better bike. My Spot rides loads better weighing a bit more, and the parts last a lot longer than the lightweight expensive tat I used to use. I’d upgrade to a Burner from the Spot at some point, but the cost of new wheels, tyres and forks is just not worth it – and I don’t really like the kit off the peg for the full bike. I think it’s one of the best looking bikes on the market! Funny old world init? The topic ‘Time to move on from the 5 spot?’ is closed to new replies.